In 1988 Charlie Flowers, switch the ball from the rhyme, and start creating and reciting clown , with his gang of friends from the neighborhood , calling themselves " THE COFFEE CUP " then trying interpoblarizarse , and knowing that what they were doing so called RAP , taking the name " Faction destroy" and then " STARBLACK " trying to find spaces where they develop , their expression , and media scenarios , which at that time did not exist , because I had mentally dictatorship. Now back to the " Democracy " in 1991 M. C. Charlie Flowers creates " STARS OF THE STREET " ( EDLC ) founding group of Hip Hop culture in the province of conception , Chile . Joining them is actively involved in 1992 in the "Association of Friends of Art " TRIA , Colonel . At the launch in 1993 of the subsidiary conception of " rock Workers Association ." The creation of collective " Coalixión Hip- Hop" , creative and libertarian organization that grouped most of the contestarios of the Hip National Hop in the early 90 's ( Dekiruza , Black Panthers, Tiro de Gracia , Inkultos , Piranha groups , etc.) . With this group, organized concerts and represent the movement in forums and cultural events such as the 2nd " Forum for tolerance and non-discrimination " in April 1996 in Concepción and the recital " Freedom of expression " held in August of that year the transition between the 80 's and 90's they estubieron marked by a lack of places to develop the RAP. THERE WAS MOVING HIPHOP bone apart from us were ; Energi boys ( half way ) Bad boys ( denavisur ) the paying ( hualpen ) from Garbage ( Lirquen ). The violence , new wave, Thrashers and Punks + the rEPRE of the cops ( the detention x suspicion only " it's over " with FREI ) and lack of training and infrastructure for the development of music ( BUSINESS AMPLIFICATION yOU lIKE blew LOLY ) formed the scenario where I and my buddies group , we tried to create a school of hiphop MADE iN KKGUANO , that sounded different from the rest of the world, without having to put the basic resources as boche , samplers or instruments, also without the backing of any scene or movement simply because it did not exist. Our first scenes were in parishes (Santa Cecilia de salinas THNO 1990) Communists rocks , the circuit of universities and institutes ( x example , the 08/10/1992 for 1st time became one of tokata; RAP METAL -PUNK & there we were weathering the spitting and bottles) population acts for civil rights and protest groups, highlighting our support for playing lota miners in the mining union (1992 & 1993) and the entrance to the mine (1996 ) But some years earlier in 1993 , by Mc STREET STARS Charlie Flowers creates the 1st independent album of the local hiphop called , "mature " album that was distributed massively in the local scene , the same way in 1995 "Blessed " second musical production group born in the program ALTERNATIVE -D produces musician Fernando Vasquez and Rodriguez leads the poet on TVN BIOBIO Darwin . In 1996 we participated in two major gigs one in " The Valparaiso club " in a jam session with members of uneducated and LA FUNK FLORIPONDIO and 2nd in the recital hiphop " FREEDOM OF EXPRESSION " in the forum udec alongside leading exponents of the genre in Chile at the time. Possession of this musical path allows " STARS OF THE STREET " in 1997 have a contest to enter the "School of Rock" in Concepción , the government entity created as a means of preparation and dissemination of the culture of young artists. In schools " STREET STARS " get experience known national musicians. The same year M. C. Charlie Flowers takes various steps to allow a video clip of the song " scent of death " with the collaboration of the professional institute DUOC Catholic University of Chile and Channel 13 of the same university. A way to raise young people from working class neighborhoods of the problem of violence , the video clip , consider the inclusion of some of them. With the same motivation , in June of the same year , Charlie Flowers participates as an instructor in the " Winter School " in the youth department of the Municipality of conception. In 1998 , after having played in almost all local spaces " STARS OF THE STREET " puts an end to seven years of experience. Leaving for posterity and in all underground video clips for their songs ; SELF-DESTRUCTION ( engraved with the support of cft CIDEC in 1994) and QEP (recorded in 1997 , with the support of DUOC UC) and that after the censorship era , by the 1st , and retention of material by producers 2nd , no more could be seen , that very few eyes. At that time part of the grant grouping of musicians , with whom he won a project of rehearsal for the Young house north , and participates in numerous councils and meetings defending the rights of musicians , with the authorities of the province. That same year, Mc . Charlie Flowers creates " APATRIDA " with which makes the production of " Space Junk " compiled association of musicians A.MU.T Talcahuano ( disc recently seen light in September 2005 and is an appendix compiled that year of such entity ) in addition to continuing playing in different recitals for the dissemination and promotion by the young art in the province of Concepción. Along with this new grouping creates KELLWYÑ collective ( solidarity in Mapudungun ) for materially supporting the Mapuche culture , and maintain their fight against the construction of hydroelectric project on their land high biobio , in addition to working on the creation of an ecological culture around this problem . 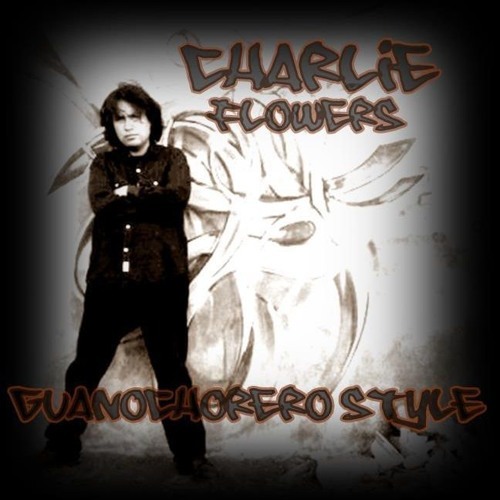 In 1999 Charlie Flowers recorded and produced independently, work 1st Cd Hip Hop culture , which brings together several artists from the province of conception , including Charlie himself , entitled " Hip Hop 8 " . This year serves as monitor of the project " Building leaders through an alternative culture " in the popular coastal sector in Concepción in the framework of a project of the Department of Public Administration and Political Science at the University of Concepción. In 2000 gives birth to her first solo , " Guano Chorero " "In the judgment of your lips ." self produced videos " G7 + Russia " and " Industrial City " , with independent audiovisual communicators Chest and Rodrigo Nicolas Padilla respectively, and is invited to presentarel disk Valdivia. In 2001, after changing his residence to Santiago , where his album is covered in the extra young program, animator and musician Sergio Lagos, where he met the entertainer Felipe Camiroaga (RIP ) participates in events such as " pop festival" " the evolution of culture in the forest park " " hiphopjara in the Date " sharing the stage with bands like ; Stone Pig , Tommy King , Mamma Soul , and his friends ; Cholomandinga , Visitors , MC Claudio Flores , Poets with Grudge , Verval Expression , Face and Seal, among others. Working with the group " Hip Hop Reaction " on "The Meadow " and attend workshops and cultural events in the collective hiphologia VILLA FRANCE along with MC's Andres Fuentes, Guerrilla Subverso and Hidden. The 2002 return in their region, recorded the album , " 510 scams " and founded the group " Art solidarity " to develop the local music scene and artistic . And at the end of that year, goes in stgo, in a compilation of the label " MANIMALRECORDS " with his song " COMMON KNOWLEDGE " from his album " Guano chorero in the trial of your lips " B thno , and is invited to a launch same , where a video recording with his performance , after prometérsele an economic return, was never completed , because there was no agreement between the parties , in late April 2003 Charlie Flowers makes an injunction against Catalan Faundez Nelson (manimalrecords producer and owner) who is admitted , the court penquista , and referred to the supreme Court to stgo because the incidents occurred in the capital, which Pilate , wash their hands Olympian with its intellectual property rights . In 2003 he founded the group ABORIGINAL that year between May 2004 and March make his third independent production titled " Puerto Wounded " . Telonea and his former fellow rock schools " Bunkers " " in the evolution of the culture in Ecuador park " Stresses in the creation and organization by the youth office of the municipality of Talcahuano recital " Music sky and thunder " in its first five editions , from 2003 to 2010. In 2004 he created with DJ . Lacost the musical project "Virtual Temple" and presented in the quartermaster and theater design . The 2005 self produced the D.C. " Urban Paya party , radio and television. " That is a compilation of his solo career to date. He was invited to present this record to Temuco & Lonquimay . That same year a compilation of material from " STARS OF THE STREET " consisting of , interviews , essays, and tokatas entitled " The revolution was never" as a testimony of what sound to since the early 90 's. That year participating as a monitor hiphop workshop in the " Partridge Aguita " conception population within the project " A neighborhood for my family." chili neighborhood, FOSIS and PRODEMU workshop and participate hiphop its population " HIGUERAS " . In May 2005 , the collective " integral art" Resurrecting the A.MU.T. (association of musicians Talcahuano ) and Charlie Flowers is your president, to continue fighting for the rights of self-producing artists and adding the compiled 2005 1999 compiled which could in local wineries . During 2006 the group actively participates hiphop "Back to the Ghetto" with whom generates several national meetings of hiphop, opens for " Sun and rain" in the act of May 1st CUT performs various charity events with A.MU. T. and recorded the album " At the rate of REWETUN " that begins to distribute during the summer that year 2007 is shown in acts of collective Back to Ghetto and AMUT and stresses its participation in the national protest of the CUT August . and self-managed tokatas in various districts of the intercommune . Between March 2007 and March 2008 is recorded and mastered the 1st cd of ABORIGINAL "Sorry Ñuquemapu " emphasizes its paricipacion in " entertaining Saturday " of steel thno artists , cultural thno in the square Friday, launching Disk ABORIGINAL in ARTIFACT , the evolution of culture in Ecuador Park , the evolution of music in the udec forum, its role as a judge in the 1st competition for emerging bands and the UBB proceedings in the evolution of culture Coelemu , barn and UBB Pavilion 83 in Lota. In 2008 recorded the documentary " FLOWERS HIGUERAS " with Mario Cerda audiosuvisual filmmaker and Marcelo PENCOPOLITANIA program director Leon . COFFEE Tacuva Mexican band in concert that gives the house sport UDEC devotes CANCER TROPICS theme for his social commitment , in December comes out the ROCK TRIBUTE TO THE CHILEAN the 1st work with his friend LACOST in VIRTUAL TEMPLE in 2009 the project was presented in the Cricket Library in poetic decentralization of Concepcion , Copiapo , Caldera , Bahia Inglesa , Curico , Teno , Talca , Mercedes, BioBio recorded his sixth solo album " the Africanness of Chilean " that dispocicion begins to be on the internet in April 2010 date is removed by following discrepancies AMUT cultural political activism , participating in various cross solidarity after the earthquake , and finish typing your 1st book " Rap smelling LIRICAS EXPRESS port "Waiting editing since 2008. During 2010, makes several appearances in Valparaiso and stgo which emphasizes his recital at the SCD Bellavista room 31/10/2010 The 2011 starts recording "The history of Chile "musical work composing for Charlie Flowers and the musician Jaime Valenzuela ( ABORIGINAL guitarist ) in July of that year is presented in scd Vespusio living in the " NOISE Pencopolitano " event in August in Valparaiso in the " KINTARTE II " event in November in the performance party at the barn VICTOR JARA . And in 2012 he was nominated to ALTAZOR by scd in category "Best POP album" participates in after the 2nd gear " For the dignity of national music" in the Almagro Park and the " Confech " on the front of the Mapocho Station , participates in the film " MUSIC IN MY LIFE " filmmaker Samuel Rubilar , and publishes his book " Rap LIRICAS EXPRESS 1988-2008 smelling harbor " thanks to the contribution of cultural artists steel corporation , in 2013 the book presents different cities in libraries, cultural centers and universities; square and library of Talcahuano, Lota Pavilion 83 , Fair Penco regional writer , living expositions UCSC School of Anthropology UDEC , and is running for prizes " CERES " . Also presents his music in the square independence Concepcion in " SUR 40 "commemoration activities for 40 years of the military coup . It also comes in different pups with his band with whom Aboriginal finished recording his epic poem "The history of Chile " / En 1988 Charlie Flowers , cambia la pelota, por la rima, y empieza a crear y recitar payas, junto a su pandilla de amigos del barrio, autodenominados "LOS CAFÉ CON LECHE", luego intentando interpoblarizarse , ya sabiendo, que lo que hacian lo llamaban RAP , toman el nombre de "Faction destroy" y luego "STARBLACK", tratando de buscar espacios, donde desarrollar, su expresion , escenarios y medios, que en aquel tiempo, no existian , porque habia Dictadura mental. Ya de vuelta a la "Democracia" en 1991 M.c. Charlie Flowers crea "ESTRELLAS DE LA CALLE" (E.D.L.C.) grupo fundacional de la cultura Hip Hop de la provincia de concepción, Chile. Junto a ellos colabora activamente en 1992 en la "Asociación de Amigos del Arte" TRIA, de coronel. En la puesta en marcha, en 1993 de la filial concepción, de la "Asociación de trabajadores del rock". En la creación del colectivo "Coalixión Hip-Hop" , organización creativa y libertaria que agrupo a la mayoría de los grupos más contestarios de la escena Hip Hop Nacional de principios de los 90's (Dekiruza, Panteras Negras, Tiro de Gracia, Inkultos, Piraña, etc.). Con este colectivo, organizó recitales y represento al movimiento en foros y encuentros culturales, como el 2do "Foro por la tolerancia y la no discriminación" celebrado en abril de 1996 en Concepción Y el recital "Libertad de expresion" realizado en agosto de ese año La transicion entre los 80's y 90's estubieron marcados por la falta de lugares para desarrollar el RAP. NO HABIA MOVIMIENTO HIPHOP osea aparte de nosotros estaban; Energi boys (1/2 camino) Bad boys(denavisur)los pagando (hualpen) De la basura (Lirquén). La violencia entre; new wave, Thrashers y Punkies + la REPRE de los pacos(La detencion x sospecha solo "se acabo" con FREI) y la falta de formacion e infraestructura para el desarrollo de la musica(EMPRESAS DE AMPLIFICACION QUE TE HACIAN SONAR COMO EL LOLY)formaban el panorama donde yo y mis compinches del grupo, tratabamos de generar una escuela de hiphop MADE IN K.K.GUANO, que sonara diferente a todo el resto del mundo, sin poseer los recursos basicos para meter boche como; samplers o instrumentos, ademas sin tener el respaldo de ninguna escena, ni movimiento, simplemente porque NO EXISTIA. Nuestros primeros escenarios fueron en las parroquias(Santa Cecilia de salinas THNO 1990) peñas comunistas, el circuito de universidades e institutos(x ejemplo; el 08/10/1992 por 1era vez se hizo una tokata de; METAL-PUNK & RAP ahi estuvimos capeando los escupos y botellas) actos poblacionales por los derechos civiles y protestas varias, destacando nuestro apoyo a los mineros de lota tocando en el sindicato minero(1992 & 1993) y la entrada de la mina(1996) Pero algunos años antes en 1993, junto a ESTRELLAS DE LA CALLE M.c. Charlie Flowers crea el 1er album independiente del hiphop local llamado; "Venceran", disco que fue distribuido masivamente en la escena local; del mismo modo en 1995 nace "Bienaventurados", segunda producción musical del grupo, participan en el programa ALTERNATIVA-D que produce el musico Fernando Vasquez y conduce el poeta Darwin Rodriguez en TVN BIOBIO. En 1996 participamos de dos tocatas importantes una en "El club Valparaiso" en una jam sesion junto a miembros de INCULTOS FUNK y LA FLORIPONDIO y la 2da en el recital hiphop "LIBERTAD DE EXPRESION" en el foro udec junto a los principales exponentes del genero en Chile de ese tiempo. La posesión de esta trayectoria musical permite a "ESTRELLAS DE LA CALLE", en 1997 pasar un concurso, para ingresar a las "Escuelas de Rock" en Concepción, instancia gubernamental creada como medio de preparación y difusión de la cultura de jóvenes artistas. En las escuelas "ESTRELLAS DE LA CALLE" reciben la experiencia de connotados músicos nacionales. El mismo año M.c. Charlie Flowers realiza diversas gestiones que permiten realizar un video clip de la canción "aroma a muerte", con la colaboración del instituto profesional DUOC de la Universidad Católica de Chile y el Canal 13 de la misma universidad. A manera de sensibilizar a los jóvenes de barrios populares del problema de violencia, el video clip , considera la inclusión de algunos de ellos. Con la misma motivación, en junio del mismo año, Charlie Flowers participa como instructor de las "Escuelas de Invierno" en el departamento de jóvenes de la Municipalidad de concepción. En 1998, después de haber tocado en casi todos los espacios locales " ESTRELLAS DE LA CALLE" pone fin a 7 años de trayectoria. Dejando para la posteridad y en el underground absoluto los video clips, para sus temas; AUTODESTRUCCION (grabado con el apoyo del c.f.t. CIDEC en 1994) y Q.E.P (grabado en 1997, con el apoyo del DUOC UC) y que tras la censura de la epoca, por el 1ero, y la retencion del material, por parte de los productores el 2do, no pudieron ser vistos mas, que por muy pocos ojos. En ese tiempo participa de la agrupacion de músicos de conce, con quienes gana un proyecto de sala de ensayo, para la casa joven de barrio norte, y participa en numerosos cabildos y reuniones defendiendo los derechos de los músicos, ante autoridades de la provincia. Ese mismo año, Mc. Charlie Flowers crea " APATRIDA", junto a los cuales realiza la producción del tema "Chatarra Espacial", compilado de la A.MU.T asociación de musicos de Talcahuano (disco que recien ve la luz en septiembre del 2005 y que es un apendice del compilado de ese año de dicha entidad) Además de continuar tocando en diferentes recitales destinados a la difusión y fomentos del arte joven en la provincia de Concepción. Junto a esta nueva agrupación crea el colectivo KELLWYÑ (solidaridad en MAPUDUNGUN) destinado a apoyar materialmente a la cultura mapuche, y mantener su lucha contra la construcción del proyecto hidroeléctrico en sus tierras del alto biobio, ademas de colaborar en la creación de una cultura ecológica alrededor de este problema. En 1999 Charlie Flowers graba y produce de manera independiente , el 1er trabajo en Cd de la cultura Hip Hop , que reúne a varios artistas de la provincia de concepción, entre ellos el propio Charlie, titulado "Hip Hop del 8". Este mismo año trabaja como monitor del proyecto "Creando lideres a través de una cultura alternativa" en el sector popular de costanera en Concepción en el cuadro de un proyecto del Departamento de Administración Pública y Ciencias políticas de la Universidad de Concepción. En 2000 hace nacer su primera producción como solista, " Guano Chorero" "En el Juicio de tus Labios". autoproduce los videos de "G7 + Rusa" y "Ciudad Industrial", con los comunicadores audiovisuales independientes Rodrigo Cofre y Nicolas Padilla respectivamente, y es invitado a presentarel disco a Valdivia. En el 2001 después de haber cambiado su residencia a Santiago, donde su disco es comentado en el programa extra jovenes, por el animador y musico Sergio Lagos, y donde conoce al animador Felipe Camiroaga(Q.E.P.D.) participa en eventos como: "festival emergente" "el dia de la cultura en el parque forestal" "hiphopjara en la fech" compartiendo escena con grupos como;Chancho en Piedra, Tommy Rey, Mamma Soul, y sus amigos; Cholomandinga, Los Visitantes, M.C. Claudio Flores, Poetas con Rencor, Expresion Verval, Cara y Sello, entre otros. Trabaja junto al colectivo " Reacción Hip Hop" en "Lo Prado" y asiste a talleres y actos culturales del colectivo hiphologia en la VILLA FRANCIA junto a los M.C. 's Andres Fuentes, Subverso y Guerrillero Oculto. El 2002 de regreso en su región, graba el álbum, "510 engaños" y funda el colectivo "Arte solidario", para desarrollar la escena musical y artistica local. Y a fines de aquel año, sale en stgo, en un compilado del sello "MANIMALRECORDS" con su tema "VOX POPULI" de su disco "Guano chorero en el juicio de tus labios" grabado en thno, y es invitado a un lanzamiento del mismo, donde se graba un video con su actuación, y tras prometérsele una retribución economica , que nunca se concreto, pues no hubo acuerdo de las partes, a fines de abril del 2003 Charlie Flowers hace un recurso de protección contra Nelson Catalan Faundez, (productor y dueño de manimalrecords)que es admitido, por la corte penquista, y remitido a la corte suprema a stgo, porque los hechos ocurrieron en la capital, y cual pilatos, se lavan las manos olímpicamente, con su derecho de propiedad intelectual . En el 2003 funda el grupo ABORIGINAL y entre mayo de ese año y marzo de 2004 crea su tercera producción independiente titulada "Puerto Herido".y telonea a sus ex-compañeros de las escuelas de rock "Los Bunkers" "en el dia de la cultura en el parque ecuador" Destaca en la creación y organización junto a la oficina de la juventud de la municipalidad de Talcahuano del recital "cielo música y truenos" en sus cinco primeras ediciones, desde 2003 a 2010. En el 2004 crea junto a Dj. Lacost el proyecto musical "Temple Virtual" y se presentan en la intendencia y el teatro de concepción. El 2005 autoproduce el c.d. "Paya urbana para fiesta, radio y televisión." Que es un compilado de su trayectoria como solista a la fecha. Es invitado a presentar este disco a Temuco & Lonquimay. Ese mismo año hace un compilatorio del material de "ESTRELLAS DE LA CALLE" consistente en; entrevistas,ensayos, y tokatas titulado "La revolucion nunca fue" como un testimonio sonoro de lo que hacia desde principios de los 90's. Ese año participa como monitor de un taller hiphop en la población "Aguita de la perdiz" en concepción dentro del proyecto "Un barrio para mi familia" . de chile barrio, fosis y prodemu y participa del taller hiphop de su pobla "HIGUERAS". En mayo del 2005, el colectivo "arte solidario" resucita a la A.MU.T. (asociación de músicos de Talcahuano) y Charlie Flowers es su presidente, para seguir luchando, por los derechos de los artistas y autoproduce el compilado 2005 añadiendo el compilado de 1999 que se podria en las bodegas municipales. Durante el 2006 participa activamente del colectivo hiphop "Regreso al Ghetto"con quienes genera varios encuentros nacionales de hiphop, telonea a "Sol y lluvia" en el acto de la CUT del 1ero de mayo, realiza distintos eventos solidarios con la A.MU.T. y graba el disco "Al ritmo del REWETUN"que se empieza a distribuir durante el verano 2007 Ese año se presenta en actos del colectivo Regreso al Ghetto y de la AMUT, y destaca su participacion en la protesta nacional de la C.U.T. de agosto. y tokatas autogestionadas en diversos barrios de la intercomuna. Entre Marzo 2007 y Marzo del 2008 se graba y masteriza el 1er c.d. de ABORIGINAL "Perdon Ñuquemapu" destaca su paricipacion en "los sabados entretenidos" de artistas del acero en thno, los viernes culturales en la plaza de thno, el lanzamiento del disco de ABORIGINAL en ARTEFACTO, el dia de la cultura en el parque ecuador, el dia de la musica en el foro udec, su rol como jurado en el 1er concurso de bandas emergentes de la UBB y sus actuaciones en el dia de la cultura de Coelemu, galpon UBB y Pabellon 83 en Lota. En 2008 graba el documental "FLORES DE HIGUERAS" con el realizador audiosuvisual Mario Cerda y el programa PENCOPOLITANIA del realizador Marcelo Leon. la banda mexicana CAFE TACUVA en el recital que da en la casa del deporte de la UDEC le dedica el tema TROPICO DE CANCER por su compromiso social, En diciembre sale a la luz el HOMENAJE AL ROCK CHILENO el 1er trabajo junto a su amigo LACOST en el proyecto TEMPLE VIRTUAL En 2009 se presenta en la Biblioteca el Grillo, en la descentralizacion poetica de Concepcion, Copiapo, Caldera, Bahia Inglesa, Curico,Teno,Talca, Mercedes, BioBio graba su sexto disco solista "La africanidad de los chilenos" que empieza a estar a dispocicion en la internet en Abril del 2010 fecha en que se retira de AMUT por consecuencia de divergencias de activismo político cultural, participa de varias cruzadas solidarias tras el terremoto, y termina de tipear su 1er libro "LIRICAS EXPLICITAS Rap con olor a puerto" que espera su edición desde 2008. Durante el 2010 hace varias presentaciones en Valparaiso y en stgo de la cual destaca su recital en la sala SCD de Bellavista el 31/10/2010 El 2011 empieza a grabar "La historia de Chile" obra musical que compone junto al musico Jaime Valenzuela(guitarrista de ABORIGINAL) en Julio de ese año se presenta en la sala scd de vespusio en el evento "RUIDO PENCOPOLITANO", en agosto en Valparaiso en el evento "KINTARTE II" y en noviembre en la fiesta performance en el GALPON VICTOR JARA. Y en 2012 es nominado a ALTAZOR por la scd en categoria "mejor disco POP" participa en tras las 2das marchas "Por la dignidad de la musica nacional" en el parque almagro y de la "Confech" en el frontis de la estacion mapocho, participa en el cortometraje "LA MUSICA EN MI VIDA" del cineasta Samuel Rubilar, y edita su libro "LIRICAS EXPLICITAS Rap con olor a puerto 1988-2008" gracias al aporte de la corporacion cultural artistas del acero, En 2013 presenta el libro en distintas ciudades en bibliotecas, centros culturales, y universidades; plaza y biblioteca de Talcahuano, Pabellon 83 en Lota, Feria del escritor regional en Penco, sala de expociciones UCSC, Facultad de antopologia UDEC, y es candidato a premios "CERES". Tambien presenta su musica en la plaza independencia de Concepcion en "40 SUR" por las actividades de conmemoracion de 40 años del golpe militar. Tambien se presenta en distintos pups junto a su banda Aboriginal con quienes termina de grabar su poema epico "La historia de Chile".